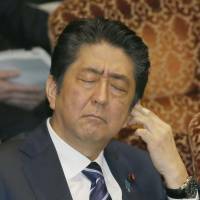 OSAKA - Prime Minister Shinzo Abe rejected more calls from the opposition Monday for his wife, Akie, to testify before the Diet over whether she offered a ¥1 million donation to Osaka-based private school operator Moritomo Gakuen, saying it was unnecessary. “The issue of Moritomo Gakuen involves Mrs. Akie. She should appear before the Diet,” said Yuko Mori of the Liberal Party, a small opposition party. The larger Democratic Party called for similar testimony last week. Politically, the prime minister still does not appear vulnerable, as recent polls by major media outlets show his support rate is still over 50 percent, although a Kyodo poll over the weekend showed that more than half of the respondents thought Akie Abe should be invited to speak to the Diet, and that 62 percent were dissatisfied with either her or her husband’s denials about being involved. Rumblings of discontent about the way his wife is handling the scandal also were heard from members of his ruling Liberal Democratic Party. “A place has to be established for her to properly speak about the truth of what happened. Posting on Facebook is one-sided. It’s not the same as a news conference,” Shigeru Ishiba, a former LDP secretary-general viewed as a major rival to Abe, said on a Tokyo Broadcasting System program Friday. Ishiba’s comments followed a remark made Friday by LDP Upper House member Shoji Nishida in the Diet, where he suggested she should have paid more attention to her relationship with the prime minister before getting too involved with Moritomo Gakuen. Since Moritomo head Yasunori Kagoike gave sworn testimony last week stating he personally received a ¥1 million donation in September 2015 from Akie Abe for his new elementary school, both the prime minister and his wife have issued strong denials. But a series of emails between Akie Abe and Kagoike’s wife released late last week and her refusal so far to answer questions about her relationship with Moritomo Gakuen continues to fuel calls for further explanations on the nature of the affiliation. The prime minister’s wife served, until last month, as honorary principal of the new elementary school. Akie Abe has denied Kagoike’s allegations on her Facebook page, but the opposition camp continues to probe the issue and whether she played some role in helping the entity purchase a ¥956 million piece of government-owned land for only ¥134 million. 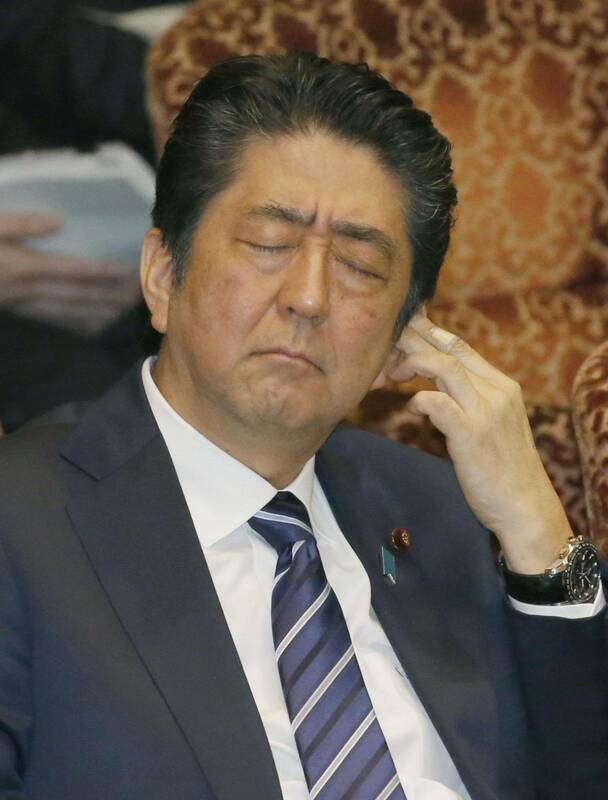 After the scandal broke last month, Abe said he would resign as prime minister and politician if there was such a connection to the deal. But Abe is not the only one facing questions over his role in the affair. In Osaka, pressure is mounting on Gov. Ichiro Matsui to explain his relationship to a deceased LDP Prefectural Assembly member who was close to Kagoike. Last week, during Diet testimony, Kagoike said he was indebted to the former head of the Osaka Prefectural Assembly, Nariaki Hata, for his guidance. Asked about his relationship with Hata at a Saturday evening news conference, Matsui said Hata had retired back in March 2011 and was a member of the LDP. “Hata was never a member of Osaka Ishin no Kai (the local Osaka political group connected to Nippon Ishin no Kai) and I have no recollection of ever receiving any special assistance from him,” Matsui added. Still, opposition lawmakers appear unready to give up on pursuing the issue and asking more questions, even though the prefectural assembly, where Osaka Ishin and its coalition partner Komeito have a majority, voted down an LDP motion Friday to establish a special committee to investigate Moritomo.